Day or night – give your office, shop or café a happy glow with illuminated signs. For the past 20 years we’ve made pure, electric magic by combining metal letters and long lasting LEDs. Whether you opt for a warm splash of colour or a cooler feel, these signs are a low voltage, low maintenance option that transform logos into showstoppers. Trough lights, illuminated lettering and light boxes instantly modernise your space, freshening up the aesthetics and leaving a twinkle in the eye of those that come and go. With your building dimensions and design requirements to hand, we’ll use face lit letters, halo lit letters, or a mesmerising combination of both to energise your brand and bring it to life. A bespoke outsized LED neon and fabricated metal sign stands proud in the middle of this Workspace foyer. The projecting sign is lit up to identify the China Works co-working hub. Make a bold statement in your office. Use 3D lettering fixed to a back lit sign to give an extra dimension to your logo. Custom made to follow the client's CGI visual this sign has electric blue LED neon inside a fabricated 3D metal letter. The client said to us that they wanted to 'express the verve they try to nurture' by illuminating each sign with a laser blue light that's subtle, yet draws you in. This exterior office sign is custom made from black painted metal with white 3D lettering to create maximum visiblity in a busy urban panorama. Designed by the architect these simple ceiling mounted light boxes define the café and work spaces below. An understated, black painted 3D lettering sign with rear halo illumination on a black background that reflects its surroundings in a statement of quiet confidence. 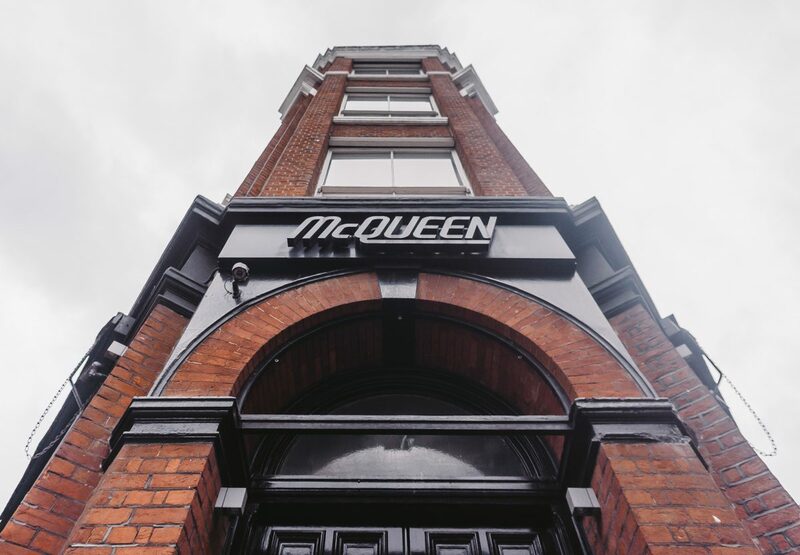 Nothing gets you noticed like a custom-made neon logo, beautifully framed and hung in your front window.